In my country we have a game called, "Who's the baby?" The hosts of a party pass out photos of their adult guests from years ago when they were all toddlers and everyone guesses which picture belongs to which person. Usually, at least some pictures can be matched with some of the guests. No adults look exactly as they did when they were that young, but often some facial feature — the shape of our eyes, a bright smile — continue to be similar enough that we can tell which toddlers grew into which adults. Something like this is true of the theology of the Old Testament. The Old Testament covers thousands of years during which its theology changed quite a bit. The theology, in its more mature stages near the end, is not exactly like the theology of its earlier, younger stages. But when we look more carefully, we can still see that the Old Testament actually represents the same faith as it grew over time. This is the third lesson in our series Building Biblical Theology. We have entitled this lesson, "Diachronic Developments in the Old Testament." In this lesson, we will see that biblical theology focuses on how Old Testament theology developed with the passing of time. Biblical theology is theological reflection drawn from historical analysis of acts of God reported in Scripture. Biblical theology focuses on Scriptural accounts of God's involvement in history and draws inferences for Christian theology from those events. In the preceding lesson, we saw how biblical theologians create "synchronic syntheses" of Old Testament theology by looking at periods of history as synchronic units of time, and by discerning the theological structures that resulted from the intersections of divine act and word revelations during those periods. 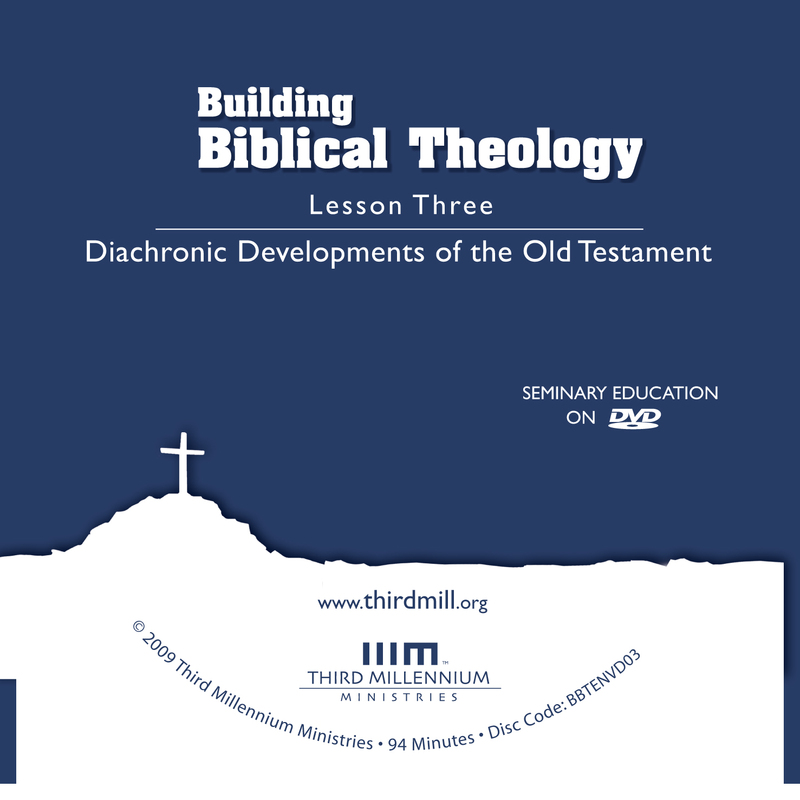 In this lesson, we're turning our attention to a second major concern biblical theologians have with Old Testament theology: namely, "diachronic development," the ways theological structures grew or developed over time. To explore this subject, we'll touch on three main issues. First, we'll gain a basic orientation toward diachronic development. Second, we'll explore how epochal developments took place between major historical periods or epochs. And third, we'll look at how specific topics developed over time in the Old Testament. Let's begin with a basic orientation toward diachronic development. One of the best ways to introduce the idea of diachronic development is to focus on what we mean by each of these words. We'll look first at the term "diachronic." Second, we'll turn to what we mean by "development." And then third, we'll look at a biblical example of assessing diachronic development in the Old Testament. Let's look first at the term "diachronic." Our English term "diachronic" derives from two Greek words: first, the preposition dia which often means "through," or "throughout"; and second, the Greek noun chromos which means "time." Diachrony is a concern with the passage of time. In the case of biblical theology, the term "diachronic" points to the ways Old Testament theology transformed, changed, or developed through time. It will help to see how diachronic approaches to the Old Testament relate to synchronic synthesis, the topic of our last lesson. On the one hand, we'll see how it stands in contrast with synchronic synthesis. And on the other hand, we'll see the interdependence between diachronic and synchronic approaches. Let's consider first how they contrast with each other. You'll recall that we compared synchronic synthesis of the Old Testament with paying attention to particular scenes in a movie, looking at relatively coherent segments of a film one by one. Synchronic synthesis focuses on the theological structures that emerged within chosen periods of biblical history. What did God reveal during this or that time? By contrast, looking at the Old Testament diachronically is like concentrating on the storyline of a movie as it moves from scene to scene. It's to focus on the ways a film progressively unfolds its drama from the beginning to the end. Diachronic approaches to the Bible concentrate on how theological structures progressively unfolded through time. How did God's revelations develop as history moved forward? Consider the relatively short period of time covered by Israel's deliverance from Egypt in Exodus 1:1–19:1. A synchronic outlook on this period would ask questions like: "What did God do and say in this period as a whole?" "What kinds of theological structures were established during this entire time?" A diachronic approach, however, is much more concerned with changes that occurred in theological structures. It asks questions like: "What changes in theology occurred as God acted and spoke in different ways during this period of time?" "What theological developments took place from the time of Moses' early childhood to his call at the burning bush?" "How did God's revelation at the burning bush anticipate his work in Egypt?" These and many other similar issues become of central importance in diachronic approaches to this part of the Old Testament. Now as different as diachronic and synchronic approaches may be, they are also highly interdependent. In fact, it's not possible to pursue either approach very far without the other. For this reason, as biblical theologians handle the Scriptures, they move back and forth between synchronic and diachronic work in a variety of ways. Consider how we must alternate between synchronic and diachronic approaches as our outlook expands from shorter to longer periods of time. To begin with, some diachronic analysis precedes even a very short synchronic synthesis. We have to understand theological changes diachronically to find a way of summarizing what happened in a particular period of time. Now, when we consider longer periods of time, our diachronic analysis depends on synchronic synthesis. First we make synchronic synthesis of several short periods, and then we trace how theological structures shifted through time between those short periods. Once we have understood this larger period of time diachronically, we can even synthesize it as a whole. This kind of back and forth continues until we reach the full length of biblical revelation. As different as synchronic and diachronic approaches may be, we must never forget that one strategy cannot be pursued without some degree of reliance on the other. It's not that one approach is more important or even more foundational than the other. Both synchronic and diachronic approaches are necessary if we're going to understand the theology of the Old Testament properly. Now that we understand the basic idea of a diachronic approach to the Old Testament, we should explain what we mean by diachronic development. We use the term "development" instead of simply speaking of diachronic changes to suggest two main ideas. First, changes in Old Testament theological structures always move toward fulfilling God's purposes for history. And second, we speak of development because theological changes only occur through God's providential involvement in history. Consider first the divine purposes behind every change in Old Testament theology. and I will do all that I please (Isaiah 46:10). This and many other passages reveal the common Old Testament outlook that history always follows the course, and reaches the goals that God has ordained for it. God's goals for history exist not only as broad, long-term goals, but also as particular, short-term goals. For instance, God has specific short-term reasons for raising David as king over Israel; he wanted to unite the people of Israel by establishing a permanent dynasty and a capital city. During every time frame, theological developments took place that accomplished God's short-term purposes. But as we have seen throughout this series, God also has an all-encompassing kingdom purpose for history. From the beginning, his design has been to glorify himself by extending his heavenly kingdom to the entire earth through the work of his image and this plan unites all of God's purposes. For example, although David's kingship had immediate purposes in God's plan for Israel, it was one step toward the greater goal of extending God's kingdom to the ends of the earth. The permanence of David's dynasty set the stage for the arrival of Christ, the perfectly faithful son of David who would prepare the earth for the glorious presence of the Father. God began history with this great destiny in mind and every event in history will, without fail, reach this glorious end. Shifts in Old Testament theological structures were not random or pointless. They were purposeful. They unfailingly brought about God's short-term goals as well as the fulfillment of his kingdom plan. Knowing that theological changes in the Old Testament moved history irrevocably toward God's goals, we need to add that these developments occurred in connection with God's providential involvement in history. When we don't pay attention to details, Old Testament theological development often appears like a road seen from a distance. When we stay far above the details, the road of theological changes looks smooth and straight. But when we take a closer look, we see that the road of the Old Testament is actually filled with steep inclines, fast descents, and sharp turns to the left and the right. These abrupt shifts are caused by God's providence, his complex involvement with his creation. Without a doubt, some divine revelations were connected to historical circumstances in ways we would expect. For example, God commanded Moses to build a transportable tabernacle because the Israelites needed to worship him as they traveled toward the Promised Land. At the same time, some theological developments that took place in the Old Testament often appear to us as random, or inexplicable. The only explanation that we can hold with certainty is that God simply wanted these theological shifts to take place. Take for example many of the ceremonial practices God required of Israel in the Old Testament. God commanded many practices to make his people into a holy people. Surprisingly, some aspects of these ceremonial laws appear to be marks of holiness precisely because they stand in contrast with the practices of other cultures, including the Canaanite cultures surrounding Israel. But other marks of holiness are very similar to the practices of other cultures, including the Canaanites. In effect, sometimes God commanded the Israelites to distinguish themselves, and other times he commanded them to do things in ways that were very similar to their neighbors. Why did God's revelation do this? What was the reason for these differences in his revelation? Although we may make some strides in understanding, in the end we simply do not know why. The only thing we know for certain is that God determined for his revelation to develop in these ways. A third type of theological development resulted when God responded to the choices human beings and other volitional creatures made. For example, Israel's history was riddled with human failure that led to God revealing himself in ways that brought about particular theological developments. To name just a few: God offered the first generation of the Exodus possession of the Promised Land, but their infidelity led to their rejection. God's prophets offered Israel the opportunity to repent and avoid his judgment, but Israel's continuing rebellion moved God to send them into exile. Of course, none of these human changes were outside of God's sovereign control. Yet, time and again in Scripture, from a human point of view, many theological developments were contingent on the choices that human beings and other volitional creatures made. While we are right to speak of changes in Old Testament theology as developmental because they fulfill God's purposes, we must also keep in mind how complex this development was. God revealed himself through his actions and his words in many different ways. And for this reason, developments in Old Testament theology also took place in many different ways. At this point, we should turn to a biblical example of authors or characters in the Bible treating the Scriptures diachronically. For our purposes, we'll look at just one example that will both illustrate and legitimate our concern with diachronic developments. Is it lawful for a man to divorce his wife for any and every reason? (Matthew 19:3). If a man marries a woman who becomes displeasing to him because he finds something indecent about her, and he writes her a certificate of divorce (Deuteronomy 24:1). Haven't you read … that at the beginning the Creator "made them male and female," and said, "For this reason a man will leave his father and mother and be united to his wife, and the two will become one flesh?" So they are no longer two, but one. Therefore what God has joined together, let man not separate (Matthew 19:4-6). To answer the Pharisees' question, Jesus gave a brief synchronic summary of marriage based on the first chapters of Genesis. Notice that Jesus drew attention to a number of particular features about important theological structures "at the beginning," before sin had corrupted the created order. Referring to Genesis 1:27, he noted that God had made humanity "male and female." Quoting from Genesis 2:24, Jesus said that "for this reason a man will leave his father and mother and be united to his wife, and the two will become one flesh." Jesus then drew the conclusion, "what God has joined together, let man not separate." The original creation ordinance of marriage was that a man and a woman who married became one flesh. Why then … did Moses command that a man give his wife a certificate of divorce and send her away? (Matthew 19:7). In line with beliefs in the first century, Jesus and the Pharisees knew that Moses' teaching about marriage was harmonious with the theological structures God had ordained in the beginning. So, how could Jesus defend what he had just said in light of what Moses had said about divorce? Moses permitted you to divorce your wives because your hearts were hard. But it was not this way from the beginning (Matthew 19:8). Here Jesus noted that by the time Moses gave his laws, God had reacted to human sin by shifting the theology of marriage in certain ways. Looking at Scriptures diachronically, he compared Moses' time with Adam's day by saying, "it was not this way from the beginning," and then by acknowledging that in the time of Moses the "hearts [of the Israelites] were hard." So, Jesus concluded that God responded to this human condition by permitting divorce for certain reasons, even though it was not God's ideal. The law of Deuteronomy 24 was God's permissive regulation in response to Israel's hardness of heart. Jesus' diachronic assessment of marriage and divorce led him to draw a highly restrictive view of the grounds for divorce. As we read in Matthew 19:9. So we see that Jesus understood marriage and divorce in the light of diachronic developments in Old Testament theology. At first, divorce was unthinkable. Later, when sin had hardened the hearts of God's people, divorce was permitted but not endorsed. In this case, a change in the human condition led to a change in Old Testament theology. The way that Jesus handled the Old Testament here demonstrates that treating Old Testament theology diachronically is legitimate and important for us today as well. Now that we have a basic orientation toward diachronic approaches to the Old Testament, we should turn to the second main topic in our lesson: epochal theological developments. Imagine you were going to write a letter to a friend about the past year of your life. One strategy you might adopt would be to explain how important factors in your life came together in certain ways so that they broke the year into distinguishable periods. For instance, you could describe how your family life, your church life, and even your inner spiritual condition changed each month of the year. The paragraphs of your letter might begin something like this: "This is what happened in January"; "These things happened in February" and so on. In much the same way, biblical theologians often describe the development of Old Testament theology in terms of the ways God's revelations divide history into major periods or epochs. To explore epochal developments of Old Testament theology, we will touch on two issues. First, we will look at the diverse theological emphases of different ages in the Old Testament. And second, we'll explore the organic theological unity among the ages. Let's look first at the ways the Old Testament divides into epochs that had particular theological emphases. There are many ways to divide the history of the Old Testament into major theological periods. We could focus on geographical divisions; we could divide the Old Testament in terms of its literary divisions. But in this lesson we'll illustrate epochal developments by returning to an important feature of the Old Testament we have mentioned in earlier lessons of this series: the influence of divine covenants. As we saw in the preceding lesson, the Old Testament characterizes every divine-human relationship in terms of three covenantal dynamics: the display of divine benevolence, the necessity of human loyalty to God, and the consequences of blessings for obedience and curses for disobedience. These covenantal dynamics remained constant throughout the entire Old Testament. So, they are useful for organizing the many theological structures that appear in Old Testament history. But the Old Testament was not merely covenantal in this general sense. There were six times when God established major covenants with distinctive theological emphases: the covenants with Adam, Noah, Abraham, Moses, David and the New Covenant. For our purposes in this lesson, it will suffice to give a quick overview of the theological emphases of each major covenant. The six Old Testament covenants fall into three main categories. First, the universal covenants with Adam and Noah. Second, the national covenants with Abraham, Moses, and David. And third, the New Covenant predicted by Old Testament prophets. Let's look at all three groups, beginning with the universal covenants. We speak of the covenants with Adam and Noah as "universal" because they were made between God and all of humanity. So, the theological structures of these covenants tell us much about the relationship between God and all people. The covenant with Adam refers to the governance of divine-human relations established in the opening chapters of Genesis. Although the Hebrew word berit, normally translated "covenant," does not appear in the first three chapters of Genesis, we have seen in other series that there is ample evidence for understanding God's relationship with Adam as a covenant or at least as an arrangement closely resembling a covenant. As the first divine covenantal administration, the theological emphases of this covenant were so basic to all of Scripture that we may call it "the covenant of foundations." Every particular theological structure revealed from the days of Adam to Noah was deeply influenced by the emphases of Adam's covenant. They all stressed how God was benevolent before sin by placing humanity in his garden and how God was merciful after sin by promising humanity's eventual victory over evil. The relationship between Adam and God also emphasized that all human beings have a basic responsibility of loyal service to their creator. Moreover, these chapters in Genesis illustrate the consequent blessings and curses that come upon human beings as they choose to obey or disobey what God has commanded. As verse 21 says, God considered the fact that "every inclination of humanity's heart is evil from childhood." So, in response to humanity's persistent sinfulness, God established a long-term strategy of extending the common grace of a new order for nature so that redeemed humanity could fulfill his purposes. God did this by providing a safe, predictable natural realm within which we could stumble and rise again to serve him. The focus of the dynamics of Noah's covenant characterized every divine revelation from Noah to Abraham. Every divine human interaction during this time was deeply influenced by God's benevolence of long term stability in nature, the universal requirement of loyalty to God and his purposes for all human beings, and specific ways in which human beings faced the consequences of blessings and curses as they formed distinct nations spreading throughout the earth. Following the universal covenants, God established national covenants with his special people Israel: the covenants with Abraham, Moses and David. In these stages of history, God narrowed his covenantal attention primarily to just one ethnic group, establishing Israel as the nation that would lead the rest of humanity in service to God. We find explicit references to Abraham's covenant in Genesis 15 and 17. The covenant with Abraham emphasized promises for the numerical increase of Israel and possession of the Promised Land, from which Israel was to spread God's blessings to the entire world. And for this reason Abraham's covenant may be characterized as a "covenant of promise." Whenever we study the stretch of time between Abraham and Moses, we find that the emphases of God's covenant with Abraham marked the entire period. God's special benevolence toward Abraham and his descendants, his specific requirements of loyalty from the patriarchs, and examples of blessings and curses for the fathers of Israel appear time and again. God made a second covenant with Israel through Moses when he brought them to Mount Sinai. The primary record of God's covenant with Israel through Moses appears in Exodus 19–24. These chapters emphasize how God gathered the twelve tribes and shaped them into a politically unified nation by giving them the Ten Commandments and the Book of the Covenant. For this reason, the covenant with Moses may be called the "covenant of law." The theological structures revealed in the time between Moses and David were deeply influenced by the emphasis of Moses' covenant with God. The law was presented as a divine benevolence to Israel. The law specified ways in which Israel was to be loyal to God. And the particular consequences of blessings and curses were demonstrated in Israel's early national history in accordance with Moses' law. Later on, when Israel became a full-fledged empire under the rule of David, God also made a covenant with David. We do not know precisely when in David's life God formally established this covenant, but 2 Samuel 7, 1 Chronicles 17, Psalm 89 and Psalm 132 convey the basic content of David's covenant. David's covenant emphasized kingship in Israel. To be more specific, it promised the endurance of David's royal line, Jerusalem as Israel's capital and worship at its temple. Although individual descendants of David would suffer when they turned from God, God's choice of David's family as Israel's imperial dynasty would never be forsaken. For this reason, we may call David's covenant Israel's "covenant of kingship." The dynamics of David's royal covenant deeply influenced theological structures from the time of David to the end of the Old Testament. In a variety of ways, God granted many kindnesses to and through the house of David. He required loyalty from the Davidic kings and the nation under their authority. And the consequences of blessings and curses for Israel and even for other nations were directly or indirectly tied to the royal line of David. With the emphases of the universal and national covenants in mind, we should look at the new covenant, the last major covenant mentioned in the Old Testament. In the later history of the Old Testament, the prophets of Israel faced the time when Israel would go into exile. They spoke, however, of a covenant that would be established after the exile. At that time, Israel would repent of sin and God would bring history to its final, climactic stage. And along with these blessings, the prophets said that God would make a final covenant with his people. This climactic covenant is mentioned many places in the Bible, but listen to how Jeremiah 31:31 speaks directly of the new covenant. The new covenant was designed to govern God's people when God fulfilled his promises to re-establish his people after exile and to spread his kingdom through them to the ends of the earth. And for this reason, we may speak of the new covenant as the "covenant of fulfillment." We will look more closely at the new covenant in future lessons. So at this point we will simply summarize how it unfolded. The New Testament tells us that this age of fulfillment was inaugurated by the first coming of Christ. His work of redemption on the cross, the victory of his resurrection, his ascension, the outpouring of the Holy Spirit at Pentecost and the work of the apostles — all of these events initiated this new epoch in biblical history. In our day, we experience the continuation of the new covenant as faith in Christ is spreading to the corners of the earth through the gospel. And we will see the consummation of the new covenant when Jesus returns and makes all things new. The new covenant characterizes every particular theological structure from Christ's first coming to his glorious return. God's benevolence at this point in history was greater than ever before as he worked through Christ, poured out the Holy Spirit and ministered through the apostles. New Testament revelation also reminds us of the countless ways we receive many benevolences in our day, but when Christ returns we will receive the kindness of our full inheritance in the new heavens and new earth. In addition to this, the New Testament record of Jesus' time on earth emphasizes that all people were required to be loyal to him. This was true in his day, and it continues to be true in our day. And the New Testament explains that when Christ returns, we will all give him unfailing loyalty. New Testament revelation also displays the New Covenant consequences of blessings and curses. It reports the enormous consequences for the choices made by those who had contact with Christ and the apostles during the inauguration of Christ's kingdom. It specifies ways in which we are now to consider the consequences of obedience and disobedience. And of course, the New Testament vision of Christ's return involves the covenant consequences of final, eternal judgment and reward. So we see that the six major divine covenants so permeated the theology of the times in which they were revealed that they provide us with ways of understanding the different emphases of major historical epochs in the Old Testament. Adam's covenant introduced the age of foundations; Noah's covenant began an age of natural stability; Abraham's covenant established promises for Israel; Moses' covenant introduced God's law; David's covenant emphasized kingship and the New Covenant brought all of these earlier covenants to their ultimate fulfillment. Despite the differences in emphases in each covenant epoch, we may also speak of the organic unity of the theology of these ages. The epochs of Old Testament history were not entirely different from each other. Rather, they exhibited continuity with each other like the stages of growth in living organisms. To understand this organic unity more fully, we'll explore three aspects of the relationships between different covenant ages. First, we'll note how Old Testament covenants were unified as administrations of God's kingdom. Second, we'll look into the resulting authority of earlier covenants for later covenants. And third, we'll speak of the need for application of earlier covenants to later covenants. Let's look first at the unity of God's covenants as administrations of his kingdom. The major divine covenants in Scripture served as the main ways God administered his kingdom through its various historical stages. As Old Testament history moved toward the goal of spreading God's reign throughout the world, God established different covenants to guide life in his kingdom in particular ways at particular times. But all Old Testament covenants shared the same ultimate goal: to extend God's glorious kingdom throughout the earth. This administrative function of covenants should lead us to expect a great deal of unity among the covenants. They were not separate programs that disregarded or contradicted each other. They were inseparably connected to each other by their one kingdom purpose. In fact, the order in which Old Testament covenants appear reveal their unity. Adam's covenant established the foundational concepts of the goal of God's kingdom and humanity's service in reaching that goal. Noah's covenant established natural stability as the arena within which failing humanity could have opportunity to reach the goal of God's kingdom. Abraham's covenant established Israel as the ethnic group that would lead the rest of humanity toward the goal of God's kingdom. Moses' covenant revealed the law that would guide this leading nation toward the goal of the kingdom. David's covenant brought a permanent dynasty to guide them further toward this same end. And finally, the New Covenant permanently remedies the failures of humanity and completes the goal of God's kingdom. These logical implications among Old Testament covenants indicate that they were all unified as administrations of God's kingdom. Now that we see how Old Testament covenants administered the one goal of God's kingdom, we should also look at their organic unity in terms of their authority. When we look at how earlier covenant ages were acknowledged in the structures of later periods, it quickly becomes evident that the authority of earlier covenants always extended to later covenants. There are countless ways to show that this is true, but for simplicity's sake we will look in just two directions; first, the continuing authority of covenants before Moses; and second, the continuing authority of the covenant with Moses. When we see how Moses handled divine covenants that came before him, there can be little doubt that he considered them authoritative for his own day. Consider the book of Genesis, where Moses wrote about the covenants with Adam, Noah and Abraham. These three covenants were established much earlier than Moses' day, but he wrote about them in Genesis to affirm their authority for the Israelites living in his day. Moses did not believe that the earlier covenants of Adam, Noah and Abraham had been replaced or annulled. He wrote about them as he did in Genesis because he believed that they had authority over the lives of the Israelites under the covenant of law established at Sinai. The earlier covenants still had authority to guide the lives of people living in the later time of Moses. In this passage, Solomon referred first to the covenant of kingship with David when he said that David "shall never fail to have a man to sit before me on the throne of Israel." But notice how smoothly Solomon transitioned to the Mosaic covenant. He added that David's sons would reign "if only your sons are careful in all they do to walk before me according to my law." Solomon's words here demonstrate that the Law of Moses remained authoritative for the people of God even after the establishment of David's covenant. Now in a moment we're going to add some qualifications to what we have seen, but these examples indicate that later Old Testament covenants did not discount the authority of what God had revealed in earlier covenants. On the contrary, the theological structures of earlier covenant epochs had abiding authority in later epochs. Now, as important as it is to recognize the abiding authority of earlier covenants, we must also acknowledge that extending the theology of earlier covenants into later periods always required careful application. The principles of earlier epochs had to be applied in ways that were appropriate for later times. Think about it this way. Every parent knows that when we give instructions to children, those instructions have to be appropriate for their ages. For instance, most of us would tell a four year old, "Don't touch the stove." But imagine one morning you ask your 18 year-old daughter to cook breakfast, and she says to you, "I can't. You told me not to touch the stove." Well, how would you respond? You might say something like, "You're not four years old anymore. It's okay for you to touch the stove now." But suppose she is careless and burns herself. Then, you might say, "Why weren't you more careful? I've told you that stoves are dangerous." And she might protest, "You've never said to me that stoves are dangerous." How would you reply to that? You might say rightly, "I warned you that stoves are dangerous every time I told you not to touch the stove." As you talk to your daughter this way, you're telling her two main ideas. On the one hand, you don't want her to return to behaving like a four year old, but on the other hand, you also don't want her to forget the lessons you taught her as a four year old. In much the same way, God dealt with his people throughout the Old Testament as maturing children. And for this reason, God's people had to remember two things. First, they were not to turn back to living as if they were in an earlier covenant age. To do that would be to reject more recent, fuller revelations from God. But second, God's people in later periods were never to forget the wisdom of what God had taught in earlier ages. They were to apply the theology of earlier epochs in ways that took account of God's new act and word revelations. For instance, Noah's covenant built on the theology of God's foundational covenant with Adam, but the principles of the first covenant were adjusted to fit the emphasis on natural stability as the nations spread around the world in Noah's day. Abraham's covenant embraced the foundational principles of Adam's day and the natural stability of Noah's age. Yet, by the time of Abraham, God had narrowed his covenant focus primarily to Israel as his favored people. And for this reason, the universal theological structures of earlier covenants had to be applied to Israel's patriarchs in ways that were appropriate for them as the chosen people. For instance, the command to multiply and to have dominion over the earth given to Adam was applied specifically to Israel's pursuit of multiplication as a race and possession of the Promised Land. The promise of natural stability was applied to Israel's patriarchs as they enjoyed the blessings of nature in the Promised Land. Moses' covenant of law reached back to Adam's foundation, Noah's stability and Abraham's promises, but Moses applied these earlier theological structures to the Israelites living in his day in very careful ways. The policies of earlier covenants had to be seen in the light of specific regulations for worship and social life revealed in God's law at Sinai. David's covenant of kingship built on Adam's foundation, Noah's natural stability, Abraham's promises and Moses' law. But once David's dynasty had been established, all of these previous theological structures had to be seen in the light of the centrality of David's kingship, the city of Jerusalem and its temple. We can sum up the matter this way. Throughout the epochal developments of the Old Testament, it was never a matter of if the theological perspectives of earlier covenants applied to later periods; rather, the important question was how they applied. Answering this question is the ongoing task of epochal diachronic approaches toward the Old Testament. Now that we have seen how Old Testament theology developed from one covenant age to another, we should turn to our third main topic: how biblical theologians have traced the ways specific topics developed in Old Testament history. We've already seen that one strategy for writing a letter to a friend about events of the past year is to describe how many factors come together and divide the year into distinctive periods. This approach corresponds to the ways biblical theologians study epochal developments in the Old Testament. A second way to write about the same year would be to take particular areas of your life, like your family, your church, your spiritual condition and describe how each of these areas developed individually throughout the entire year. Each paragraph of this letter might begin something like: "This is what happened in my family last year." "This is what happened in my church last year." "This is what happened in my spiritual life last year." In much the same way, the developments of Old Testament theology can be described in terms of particular topics. To get an idea of how this approach works, we'll look in two directions. First, we'll see how biblical theologians have treated traditional topics from systematic theology. And second, we'll look at the special issue of biblical typology. Let's begin with the ways systematic theology has formed topical concerns for biblical theologians. The topics of traditional systematic theology have developed into a fairly stable set of concerns. For the most part, systematicians first address theology proper, the doctrine of God. Then they turn to anthropology, the doctrine of humanity, and focus especially on humanity's need for salvation. Soteriology follows; the doctrine of salvation. Then, ecclesiology, the doctrine of the church receives attention, and finally, eschatology, the doctrine of last things. From time to time, even biblical theologians have summarized the theology of the Old Testament following these basic categories. And this has occurred for at least two reasons. On the one hand, traditional systematic theology has had a very long history and has been very useful for biblical theologians. In fact, the results of traditional systematic theology have been so positive that quite often, biblical theologians have found much help there. Good systematic theology has sought to be thoroughly biblical and in so far as that goal has been reached, systematics has much to offer biblical theology. As much as systematic theology needs stimulation from biblical theology, biblical theology needs the rich heritage and stability of systematics. On the other hand, the topics of systematic theology have often been adopted in diachronic biblical theology because so many evangelicals have believed that the purpose of biblical theology is to provide exegetical information for systematics. In an earlier lesson, we saw that despite their differences, highly influential men such as Charles Hodge, Benjamin B. Warfield and Geerhardus Vos looked at biblical theology as the way Scripture is brought to bear on systematic theology. As a result, biblical theology is often thought of not as an end in itself, but as a means for developing a systematic theology that is true to Scripture. For these and other reasons, it's nearly impossible for biblical theologians to free themselves entirely from systematic theology as they explore the development of particular topics in the Old Testament. And even when they have introduced new insights rising out of their study of Scripture, systematic theology has guided their discussions in important ways. Biblical theologians have explored the Old Testament in terms of theology proper, anthropology, soteriology, ecclesiology and eschatology. But when biblical theologians are concerned with diachronic developments, they ask this distinctive question of these issues: How did this doctrine develop or mature through the history of theological changes in the Old Testament? For instance, a biblical theologian might explore theology proper. But rather than concentrating on the doctrine of the eternal Trinity as in traditional systematics, a biblical theologian would look at the distinctive act and word revelations about God during different periods of the Old Testament, always being careful not to violate later revelation but also careful not to read later revelation into earlier periods. A biblical theologian might ask, "What did God reveal about himself in the time of Adam?" "What did he reveal about himself in the time of Noah?" "What was Moses' doctrine of God?" and so on. As God acted and spoke in history, he revealed more of himself. For this reason, the doctrine of God developed along certain lines in Old Testament history. In a similar way, biblical theologians have traced how aspects of anthropology, soteriology, ecclesiology and eschatology developed through the Old Testament as well. How did the Old Testament develop an outlook on the condition of humanity? How did it display the way of salvation one step at a time? How did the Old Testament deal with the theme of the people of God in different periods? How did it progressively unfold an outlook on the last days? As biblical theologians have focused on each of these traditional topics, they have often discovered new insights that have been overlooked in traditional systematics. At times, they have even discovered ways that systematic theology should be corrected by biblical theology. Now that we have an understanding of how topical developments in biblical theology relate to systematic theology, we should turn to a second aspect of topical developments in the Old Testament. We have in mind here a special diachronic issue that is frequently called "biblical typology." When Christian pastors and teachers talk about this or that being a type of something else, usually they refer to aspects of the Old Testament as types of Christ or some other aspect of the Christian faith. And we often wonder to ourselves, "How did they come up with that typology?" "How did they justify it?" And for that matter, we might even ask, "What exactly is a type, anyway?" There are so many misunderstandings of biblical typology it is no wonder that we raise these kinds of questions. To explore typology in Old Testament biblical theology, we'll touch on three different issues. First, we'll define what we mean by the term biblical typology; second, we'll look into five important features of typology; and third, we'll explore the process of identifying typologies. Let's look first at a definition of biblical typology. The term "typology" is used in a variety of ways in other disciplines such as science and literary studies. Our concern in this lesson, however, is with the idea of typology in biblical theology. In a very broad sense, biblical theology applies the term typology to any diachronic development of topics in Old Testament theology. Every trace of the historical stages of a topic forms typology in this general sense of the word. On occasions, biblical theologians will speak of the typology of the doctrine of God, or the typology of worship, and simply mean that these are the ways these themes developed in the Bible. But for the most part, modern biblical theologians have used the term typology much more narrowly. We can summarize this special meaning in this way. Biblical typology is the study of diachronic developments between the theological structures closely associated with significant persons, institutions and events in Scripture. In simple language, we might say that typology is the study of types. The word "type" derives from the Greek word tupos, which is used fifteen times in the New Testament. In three important passages New Testament writers spoke of particular theological structures in the Old Testament as "types" of other theological structures in New Testament faith. For example, listen to what the apostle Paul said about Adam in Romans 5:14. Nevertheless, death reigned from the time of Adam to the time of Moses, even over those who did not sin by breaking a command, as Adam did, who was a pattern of the one to come (Romans 5:14). Notice here that Paul declared Adam was "a pattern of the one to come." The Greek word translated "pattern" here is tupos. From the larger context we know that "the one to come" is Christ. So, in this case, Paul observed that Adam was a type of Christ. In the days of Noah … eight persons, were brought safely through the water. And corresponding to that, baptism now saves you (1 Peter 3:20-21, NASB). In this passage the Greek term translated "corresponding to that" is antitupos or "antitype." So, in this example, Christian baptism is presented as a New Testament counterpart to Noah's flood. In Colossians 2:17 the apostle Paul once spoke of Old Testament ceremonial law with a significant variation in terminology. These are a shadow of the things that were to come; the reality, however, is found in Christ (Colossians 2:17). Here Paul spoke of Moses' ceremonial law as "a shadow" (skia in Greek) and "the things to come," as "the reality … found in Christ." In a similar way, the writer of Hebrews also spoke of types as shadows and antitypes as realities. Most frequently, however, New Testament writers did not use any special terminology when they noted biblical typologies. They simply linked or associated particular Old and New Testament elements with each other. For instance, listen to the way Jesus spoke of a typological connection between Moses' bronze serpent and himself in John 3:14-15. In this passage, Jesus compared the bronze serpent with his crucifixion without any special terminology. But we can still say that the serpent was a type of the crucifixion and that the crucifixion was the antitype of the serpent. With this basic idea of typology in mind, we should turn to a number of specific features of typology that biblical theologians usually recognize. For our purposes, we'll give attention to five issues. First, we'll see how typology functions as a figure of speech. Second, we'll focus on the variety of elements in biblical typologies. Third, we'll note that typologies are comparisons of theological structures. Fourth, we'll see how typologies represent theological developments. And fifth, we'll draw attention to the serial character of many typologies in the Bible. Consider first how typologies function as figures of speech. On a linguistic level, it helps to view the expression of typologies in Scripture as a special figure of speech, or to be more specific, as a figure of comparison. Figures of comparison are indirect ways of describing things by comparing them with something else, just like we do with metaphors or similes, analogies and the like. We can understand a lot about the basic mechanics of typology in the Bible by viewing it as a figure of comparison. Every figure of comparison operates with three main elements: the image which is the item being compared with the main item in view; the topic which is the main item of concern; and points of comparison between the two. For instance, think about this simple simile, "That skyscraper is tall like a mountain." In this sentence, the image is "a mountain." It is the item being compared to the main concern. The main concern or topic is "that skyscraper," the building in view. And the explicit point of comparison is that both are "tall." Now when we actually use figures of comparison we do not always state all three of these elements explicitly. But the image, topic and one or more points of comparison are at least implied for any figure of comparison to communicate successfully. These three elements also appear either explicitly or implicitly in biblical typology. 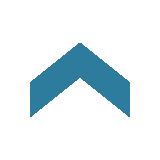 First, a "type" functions as an image, an item that is being compared with the main item of concern.  Second, the "antitype" is the topic, the item to which the type is being compared. And third, the type and antitype are linked to each other by one or more points of comparison. For instance, you'll recall that in Romans 5:14 the apostle Paul declared that Adam was "a pattern, or type, of the one to come, that is, Christ." So, in this case, Adam is the image or type who is being compared with Christ, and Christ is the topic or antitype. The points of comparison between Adam and Christ are explained in the larger context of Romans 5. Adam is a type of Christ because both the actions of Adam and the actions of Christ had widespread and related effects on people who were identified with them. On the one hand, those identified with Adam died. And on the other hand, those identified with Christ received eternal life. A second feature of biblical typology is that compared elements are quite varied. Comparisons are made between different kinds of things. There are many ways of classifying the elements that function as types and antitypes, but it's helpful to think of them in three basic groups. Types and antitypes may be significant persons, institutions, or events. By persons, we mean characters that appear in the Scriptures, like significant human characters, spiritual creatures, God, and on rare occasions other aspects of creation that are personified. By institutions, we mean enduring historical realities like significant real estate or locations of lasting significance, rituals, organizations, important buildings and the like. And by events, we simply mean significant historical occurrences, things that happened. Types and antitypes can consist of every combination of these three elements. The examples of New Testament typology we have noted already reflect some of this variety. Paul's typology between Adam and Christ in Romans 5:14 compared one significant person with another significant person. In 1 Peter 3:21, Peter compared the event of Noah's flood with the institution of Christian baptism. In John 3:14, Jesus compared the event of Moses lifting the bronze serpent with the event of his own crucifixion. Other combinations occur elsewhere in Scripture. Whatever the case, typologies compare significant persons, institutions and events. In the third place, typologies in the Bible always compare the theological structures that are closely associated with their elements. Unfortunately, well-intending evangelical biblical theologians often become so intrigued with typology that they find types and antitypes nearly every time they see any similarity between two items in Scripture. But their comparisons frequently involve only coincidental features, rather than substantial theological connections. For example, Abraham had two hands, but there is no good reason for thinking that Abraham was a type of later biblical characters who also had two hands. The fact that people wore robes at more than one time in the Old Testament does not indicate that they were types and antitypes of each other. These sorts of comparisons deal with little more than historical coincidences. Instead of being distracted by such insignificant comparisons, well-founded typologies consist of comparisons of significant theological structures associated with their elements. The elements of typologies, persons, institutions and events do not stand alone in their typologies. They serve as synecdoches, parts that stand for larger, closely associated theological ideas. When biblical writers mentioned particular persons, institutions, or events as elements of typologies, they had in mind the larger theological structures that those elements represented. For example, consider again Paul's example of Adam as a type of Christ in Romans 5:14. Paul did not compare the fact that both men had hair. He did not draw attention to the fact that both had two eyes and two ears. Instead, Paul noted this typology because he was comparing the theological significances of Adam and Christ. Paul's comparison was based on the observation that both men had massive impacts on the status of the people identified with them. The same may be said of Peter's typology between Noah's flood and Christian baptism in 1 Peter 3:20-21. The larger context of Peter's epistle makes it clear that he was concerned with the theological significance of the flood as the way Noah passed from a world of divine judgment to a new world blessed by God. And of course, Christian baptism is associated with similar beliefs because it symbolizes our passing from a world destined for judgment to the new creation in Christ. It was on this level that Peter compared the waters of Noah's day with the waters of baptism. A fourth characteristic of typologies in Scripture is that they always reflect diachronic developments. When the Scriptures identify types and antitypes they always belong to different times in history and so, they reflect diachronic theological developments between those times. For this reason, as with all figures of comparison, typologies will involve both similarities and differences between their elements. On the one side, we're able to see similarities. Certain persons, institutions and events are types of later persons, institutions and events because their theological significances were similar. But on the other side, these comparable elements were also dissimilar; they were never precisely the same. With the passage of time, new revelations took place between types and antitypes that caused developments in their theological significances. But the gift is not like the trespass. For if the many died by the trespass of the one man, how much more did God's grace and the gift that came by the grace of the one man, Jesus Christ, overflow to the many! (Romans 5:15). Notice here that Paul did not simply point to the similarities between Adam and Christ. He noted a crucial difference between them. Adam lived in the earliest epoch of biblical history and his act of disobedience introduced sin and death into human history. Christ, however, lived in the last stages of biblical history when God's purposes of redemption were to be accomplished. As a result, Christ's obedience brought eternal life. The differences between Adam and Christ were just as vital to Paul's typology as their similarities, and the same is true for all typologies. The language used to describe Adam and Eve's work in the garden is unusual. It appears elsewhere in the Pentateuch in places like Numbers 3:7-8 and 8:26, where Moses described Levitical service in the tabernacle. Moses' use of the language of tabernacle worship to describe Adam and Eve in the garden indicates that Moses saw a typological connection between the Garden of Eden and the tabernacle. This typology is confirmed by the fact that the architecture and decorations of the tabernacle itself reflected the paradise of the Garden of Eden. The way Moses described the activities of Adam and Eve in the Garden of Eden indicates that the theological structure of worship began with the Garden of Eden. When humanity was cast out of the garden, a diachronic development in worship took place. As the examples of Abel, Seth, Noah and Abraham indicate, God called for his people to continue worshipping him outside of the garden by building altars for worship in different places. Later when God called Israel out of Egypt and made a covenant with them at Sinai, another significant diachronic development took place in worship. Israel's worship was centralized at the tabernacle around the ark of the covenant, God's royal footstool on earth. Then, once Israel had settled in the land, another diachronic development in worship took place. God called for his people to transfer the ark of the covenant and to worship at the permanent structure of the temple in Jerusalem. Finally, after the Babylonians destroyed Solomon's temple in Jerusalem, the prophet Ezekiel announced a new revelation regarding worship. He predicted that after the exile an even greater temple would be built when David's kingship and Jerusalem were restored. Not surprisingly, during the days of Zerubabbel, the prophets Haggai and Zechariah insisted that those who had returned to the land of promise after exile were to build a new temple for the worship of God. So, then we see a serial typology among the various theological structures of worship beginning with the Garden of Eden, and extending to the early altars before Moses' day, to the tabernacle of Moses, to Solomon's temple, and to the temple of Zerubabbel. Many times in the Old Testament, God repeatedly addressed important theological issues associated with significant persons, institutions and events. And his repeated attention to these matters often formed serial typologies. Now that we have seen five important features of typologies in Scripture, we should turn to a third issue: how to identify typologies in the Old Testament. What procedures should we follow as we explore the developments of specific theological structures associated with Old Testament persons, institutions and events? We will answer this question by taking up two major outlooks on typologies. First, typology viewed as anticipation. And second, typology viewed as reflection. Let's think first of typology as anticipation. When we think of typology as anticipation, we have in mind the belief that when types appeared in Old Testament history, they were designed to point toward future antitypes. Throughout the history of the church, the vast majority of interpreters have treated scriptural typologies in this way. In this view, God sovereignly placed significant persons, institutions and events in history to indicate to the people living in those days what was coming in the future. This traditional outlook has characterized most Christian approaches toward typology including the early decades of evangelical biblical theology. Now in recent days, many biblical theologians have dismissed this traditional anticipatory view in favor of an approach that is often called "intertextuality." Intertextuality treats typologies simply as literary phenomena, the ways one biblical text treats another, rather than treating typologies as historical realities arranged by God to indicate what was on the horizon. Biblical typologies are reduced to the ways later biblical texts handled earlier biblical passages for particular theological ends. In contrast with these recent tendencies, New Testament authors described typology as "interactualities." In other words, types were historical realities that actually anticipated future historical realities as their antitypes. As you will recall, in Romans 5:14, Paul called Adam "a pattern of one to come." Paul wrote about the historical Adam, not merely the text of Genesis, as foreshadowing the historical Christ. In a similar way, in Colossians 2:17, Paul identified the type of Old Testament ceremonial law as "a shadow of the things that were to come." His metaphor of shadow suggests that the ceremonies of the Old Testament resulted from realities in Christ casting their shadows into the historical realities of the past. Following the New Testament witness, we should affirm that in his providence God arranged history so that some earlier persons, institutions and events anticipated or foreshadowed later persons, institutions and events. One question that often arises from affirming an anticipatory view of types is this: Did people living in the Old Testament understand the future to which types pointed? Were characters and writers of Old Testament times able to know what antitypes were on the horizon by looking at the types of their day? There are senses in which we should answer "yes." In the first place, we cannot rule out that from time to time God gave specific, special revelations to people that enabled them to have such foreknowledge. For instance, perhaps prophets and other leading figures in the Old Testament were able to see, to some extent, how types anticipated future antitypes. In the second place, at times people living in the days of types could anticipate future antitypes by applying more ordinary means. Quite often, types in the Old Testament were associated with theological structures whose future developments God had already revealed. That is to say, God had indicated the ways certain theological structures would move forward toward a greater end. Insofar as early types were associated with these previewed future realities, they indicated what kinds of future antitypes could be expected. For example, as we have said throughout this series, in Genesis 1:28 God revealed the ultimate destiny of Earth to Adam and Eve when he commanded them to extend the paradise of the Garden of Eden to the entire earth by multiplying and having dominion over the earth. From the very beginning, God revealed that he had ordained his image to turn all of the world into a wondrous, holy place like Eden. Adam and Eve understood that the wonder of the Garden of Eden itself was a type, an anticipation of what would one day be true of the entire world. The land promised to Abraham was the beginning point for Israel's expansion of God's blessings to the ends of the earth. In this sense, much like the Garden of Eden, the Promised Land given to Abraham's descendants was also a type that anticipated what the entire world would be like one day. All kings will bow down to him and all nations will serve him… All nations will be blessed through him, and they will call him blessed (Psalm 72:11, 17). So, we see then, that as Adam and Eve were to extend their reach from Eden to the ends of the earth, as Abraham was given the Promised Land to extend God's blessings to the ends of the earth, the house of David possessed the Promised Land to extend God's rule and blessings to the ends of the earth. At each stage, what God accomplished anticipated what was going to come about in the future. His people could anticipate to some extent, the typological significance of what they were experiencing in their day and how it pointed to a greater antitype in the future. In many other cases, people in the Old Testament who understood the purposes of God were able to see how certain persons, institutions, and events were types that foreshadowed things to come. Their understanding was certainly limited, but they could grasp many aspects of the ways types in their days anticipated the future. Now as true as this is, it's also important to realize that in many other cases, understanding types and antitypes is not so much a matter of anticipation, but of reflection. Identifying how most types would develop into their antitypes involves reflecting from the vantage point of later times on earlier persons, institutions and events. Consider this analogy. Suppose you have an acorn in your hand and you want to know what it will look like as a mature tree. A full grown oak tree looks very different from an acorn. So, apart from some supernatural ability to predict the future, it is not easy to know much about what the acorn in your hand will look like as a mature tree. In many respects, this was the situation that human beings faced in the Old Testament. Types often look so different from their antitypes that anticipating their developments would have been nearly impossible. For instance, although Peter identified Noah's flood as a type of Christian baptism, who in Noah's day could have imagined that the worldwide flood of that time anticipated the baptism of individuals in Christ? It would have been nearly impossible for the average Israelite living in Moses' day to know that Moses' bronze serpent foreshadowed Christ's crucifixion. The antitypes simply look too different from their types for them to have been predicted apart from supernatural revelation. So let's return to our analogy and go a step further. Suppose we slice off a bit of the acorn in our hand and perform a thorough analysis of its DNA. By doing so, we learn much more about the underlying characteristics of the acorn. Even so, DNA does not determine every feature of the mature tree into which the acorn will grow. We could be sure that the acorn would grow into an oak tree, and not into an apple or pear tree. But we could not know many specific things like its height, the number of branches or the size of its root system. These features are influenced by external forces like weather, water supply, nutrition, light, and disease. They are not determined entirely by the genetic code. In much the same way, we may be able to understand the genetic code or the theological structures associated with significant persons, institutions and events that serve as types in biblical history. This knowledge may provide us with some expectations for later developments, but the developments between a type and its antitype are not entirely predictable by this means. New revelations from God often take history in unexpected directions. Even with a thorough understanding of the theological significance of a type, we cannot always predict the details of its antitype. Instead of trying to understand types and antitypes by predicting the latter from the former, we must usually rely on a process of reflection. Like biblical writers, we have to take advantage of our historical situation and reflect on the ways that earlier persons, institutions and events actually developed into later antitypes. To return to our analogy again, if we have a handful of acorns and plant them along with many other acorns, after a number of years we'll be able to compare a DNA analysis of each tree in the forest with our original DNA analyses of each acorn. From this vantage point, we'll be able to identify which tree came from which acorn. In much the same way, from the vantage point of knowing the theological structures of later periods in biblical history, we are able to identify types by comparing their theological structures with the theological structures associated with later persons, institutions and events. As a Christian, Paul understood the theological structures associated with Christ's obedience and was able to see the comparison with similar theological structures associated with Adam's disobedience. On this basis, he spoke of Adam as a type of Christ. Peter understood the theological structures associated with the water of Christian baptism and noted the correlations with the theological structures associated with the water of Noah's flood. Jesus grasped the theological significance of his crucifixion and put that side by side with the similar significance of the bronze serpent in Moses' day. So, while types truly anticipated their antitypes, normally we can only identify these anticipations after their antitypes have appeared in history. Once we grasp this process of reflection, we can see that identifying typologies is an important part of studying diachronic developments in the Old Testament. To be sure, when the Scriptures identify typologies, they are normative and we must not contradict them. But the Scriptures do not explicitly trace diachronic theological developments exhaustively. As biblical theologians explore the full range of theology in the Old Testament, they must learn the theological significance of persons, institutions and events in later revelation, and then identify their anticipations in earlier periods of revelation. In this way, they can see how the theology of the Old Testament developed over time. In this lesson, we have examined diachronic developments in the Old Testament. We have gained a basic orientation toward diachronic or developmental approaches to Old Testament theology. We have seen how Old Testament theology progressed in historical epochs or stages. And we have explored the developments of specific themes in Old Testament theology as well. Many more things could be said about diachronic developments in the Old Testament. But grasping what we have presented in this lesson will provide a solid foundation for further investigation into the ways theology developed from the early days of Genesis to the last days of the Old Testament.